So, what will a website do for your business? Once you have a website, it opens a whole new market. It will allow customers, and potential customers or investors, to learn more about your business via web search. That said, you can’t just throw together a website and hope for the best. There is more to it than that. The site needs to look professional and be optimized for search engines so that your company develops a great web presence. Potential customers are looking for your services or products. If you don’t have a website, it’s guaranteed that they will find your competitor’s site instead. 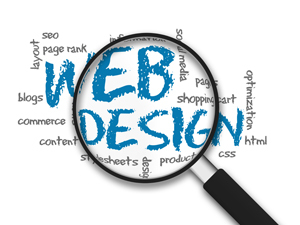 We offer full-service website solutions for every need and budget. Whether you're starting from scratch or updating an existing website, our design team has you covered on all ends! It's clear that social media interaction with businesses is here to stay. 79% of corporations are now utilizing some aspect of social media. Let DiAlo manage and nurture your online relationship. Our social strategist plans include establishing your business profile, which involves uploading your business logo, company information such as your business description, hours of operation, company photos, product images, contact information and links leading back to your website. When it comes to social media, there's a lot to engage in, and we’ll also perform these duties for you as well – the actual postings, analyzing metrics, training and managing a team, conducting campaigns, and managing the budget. We use proactive and innovative strategies. Let us create and maintain your account for you; our social set up fee and social maintenance rates are very affordable. Connecting with your audience by ways of the online social networking has become a must! If you're not on the social media scene you're quite frankly missing out on potential leads. The social networking arena has millions of users around the world and the numbers continue to increase. These sites include Facebook, Twitter, LinkedIn, and YouTube just to name a few. The social network is a way for your company to stay in front of your audience and maintain a dialog by way of postings. Post a blog, post an article about your products and services, a video showing your staff; the choices are endless; not to mention it increases your brand perception and ramps up your online reputation. Social networking can lead to increased organic (natural) traffic and better search engine rankings for your website overall. Search Engine Optimization is a necessity. Search Engine Optimization (SEO) it is the process of improving the visibility of a website or a web page in search engines via the "natural" or un-paid ("organic" or "algorithmic"). Google, Yahoo, and Bing are search engines in which potential customers are using to find services and products they need. We'll structure your website to be found on the search engines (Google, Yahoo, and Bing) organically rather than using a pay-per-click service. We'll analyze your current site and provide a recommendation report. We will insert search engine friendly code and website structures. This SEO service is simply the underlying foundations to a solid start as optimization is an ongoing process. Tracking the success of your SEO plan and making adjustments accordingly to your site. After each site optimization we will submit your website to the major search engines and a few others at no additional cost; ask us for more details. This SEO service is included with our small business web design package. Web Analytics is a tool for business and market research, and to assess and improve the effectiveness of a website. Web Analytics is the measurement, collection, analysis and reporting of internet data for purposes of understanding and optimizing web usage. Analytics help one to estimate how traffic to a website changes after the launch of a new advertising campaign. Analytics provide information about the number of visitors to a website and the number of page views. It helps gauge traffic and popularity trends which are useful for market research. Making sure that you have a presence everywhere your potential customers might find you is critical. Local searches are now a very vital piece to help your search rankings. Many shoppers are more interested in doing business with businesses in their own town. Local search queries provide a geographic map with your business address and contact information. Let us help your business with more geographical clients. Let us list your local business with the 22+ online directories which will also help boost your search rankings. We'll email you links to every online listings. Search engine submission is how we submit a website directly to a search engine. Our two reasons why we submit a web site or web page to a search engine registration. 1. To add an new web site because the site owner would rather not wait for a search engine to discover them. 2. To have a web page or web site updated in the engines. Testing cross browser compatibility is a necessity. We'll check to see what your website looks like in various screen resolutions and browsers. Keyword Analysis helps you raise conversions and find new markets. We'll analyze your keywords and key phrases and make a recommendation to improve your SEO ranking. Targeting keywords and key phrases is very important; they play a very important role in obtaining website success. We've compiled a SEO checklist unlike no other that allows us to cover all the key ingredients to SEO success. Just to name a few - keywords, meta tags, description tags, ALT image tags, page titles, page names, page speed, image optimization, domain names, links, header tags and well-written content. With our SEO Analysis service we will examine your web site and send you a detailed analysis with our recommendations on how to improve your search engine rankings. Very affordable and very thorough. We'll analyze your website to see what's going on with the behind the scene coding. This service is optimizing your website code. Code validation. We’ll make sure that all code is up to the W3C standards. Search engines loves clean coding and it helps with higher search engine rankings. With our site structure assessment we'll examine your design to make sure your site is working effectively. We'll check the page load time, site navigation, broken links, descriptive links, font consistency, contrast, proper padding between text and images, consistency throughout the website, spelling and grammar, scan-ability and we'll rate the overall appearance of your design. We've compiled a thorough what to do and what not to do checklist! There are so many ways DiAlo can help you build your brand, generate interest and inspire your prospects to buy. We can prepare the words, slogans or scripts to promote you and your business. Copy writing could include direct mail marketing, sales letters, postcards, brochures, billboards, email advertising, Internet advertising, catalogs, television or radio commercial scripts, press releases, your website and other marketing media. Copy writing is so important it will make or break your business. Let us assist you with writing content that will showcase your product and services that will help increase your sales. We will thoroughly research your products and services for their unique selling points and develop content that will appeal to your audience. We do this by highlight the features of your products and services as valuable solutions to your audience challenges and produce original and compelling content designed to stimulate interest in your business. You are a successful entrepreneur but we understand that there's just not enough time in a day to get everything on your to-do-list done, which is why you should allow us to use our skills and resources to design effective and engaging copy. We specialize in business to business and business to consumer marketing. Our team of copy editors are standing by to help you develop professional marketing communications, ranging from logos and business cards to web sites and a social media presence. Our solutions are customized to fit your needs. Step 1 AND Step 2 - Consultation, Research and first payment - We will meet in person or over the phone to review the scope of your project and provide you with a copy writing quote. During the process we will thoroughly research your products and services for their unique selling points and develop content that will appeal to your audience. We do this by highlighting the features of your products and services as valuable solutions to your audience challenges and produce original and compelling content designed to stimulate interest in your business. Make first payment - If you like our idea and are ready to move forward, we ask for a 50% advance payment. Payment must be cleared before any work is started. Payment may be made by credit card (Visa, MasterCard, Discover, and American Express) or check. A $25 fee will be assessed for all returned checks. Step 3 - We start the design and email uou proofs - Please review your project proof carefully. Clearly indicate any changes, additions, or deletions on the proof and or on the draft. The proof form has to be signed and returned along with any changes on the draft. Each copy writing project is allowed up to 5 proofs, anything past proof number 5 will be charged $15 per proof. Step 4 - You view the proof and make any revisions - We'll make the needed revisions and resend you another proof. Step 5 - You are happy and then you give us the final approval - Once you have given us the final approval we will begin to package your completed files. Step 6 - We will deliver the final files to you - We will email you all the completed files or save them on a flash drive, CD, DVD storage device. Saving to a storage device is an additional fee. Remember to make a backup copy of your files, for the just in case scenarios. We also backup and keep copies of client files. Step 7 - Everyone is happy and you're on your way to entrepreneur success! - this step is what we live for! We specialize in affordable digital solutions - from home based businesses and enterprise web designs. A professional website can give you a high ROI by helping you increase sales and expose your business to millions on the Internet. Whether you’re starting a complete new brand identity, or redesigning an existing site, were here to help. We very passionate about each and every design we create! After all, our success is built on your success! The single page website is a paradigm of the modern web in which everything that needs said can be placed on one web page. Benefits of Single Page Websites - User experience can be improved because navigating through the content is quicker and more responsive than having to go through a larger site. It's also easier to maintain. Single page designs offer an easy solution for simple "brochure" sites that serve one product or service. Our 5-page website package is normally $600 for the design. Add our one time set up fee of $85. Add our annual Hosting fee for $65. Add our Domain Name annual registration fee for $15. This package normally totals out to $765. If	you	own	or	operate	a	non	profit business we offer you this deal at the reduced cost of $ 541.50. That's a discount of $223.50. The world is going mobile and with that so should your website! Desktop websites were not created to be seen on a smaller devices. Just because you can access your desktop site on a mobile phone doesn't mean it’s mobile-friendly. Your mobile efforts should reflect the unique navigation capabilities and limitations of mobile devices. A mobile-friendly website can help your business connect with customers and drive conversions. Many website owners want the ability to update their website, a content management system website will give you this option. CMS or Content Management System allows you to control and manage the content on your website with very little technical knowledge, although, you will need to become familiar with the CMS system to move around. There's several content management systems to choose from. Some systems are free while others are not. 2. WordPress is a free, open source CMS software. Websites and blog's are created using this software. WordPress is coded in PHP and MySQL. Visit the WordPress site. 3. Drupal is another free open source CMS application. Using Drupal you can create powerful websites and blog's. Visit the Drupal site. Need to set up an e-commerce website? Need a shopping cart feature? Need to set up Paypal? We can help implement your online store. Whether you have a few items or hundreds of items, we can help plan, design and host your E-Commerce website. A landing page, sometimes known as a "lead capture page" or a "lander", is a single web page that appears in response to clicking on a search engine optimized search result or an online advertisement. The landing page will usually display directed sales copy that is a logical extension of the advertisement, search result or link. There are two types of landing pages: reference and transactional. A web hosting service is a type of Internet hosting service that allows individuals and organizations to make their website accessible via the World Wide Web. Web hosts are companies that provide server space. There is also a one time hosting set up fee of $85. WordPress is a free, open source CMS software. Websites and blog's are created using this software. WordPress is coded in PHP and MySQL. Visit the WordPress website. Drupal is another free open source CMS application. Using Drupal you can create powerful websites and blog's. Visit the Drupal website. Supportable - By using a CMS system you can edit the content on your website without having much technical knowledge. Although, you will need to become familiar with the CMS system to move around. CMS systems includes a WYSIWYG editor. (Is an acronym for What You See Is What You Get). The term is used in computing to describe a system in which content displayed during editing appears very similar to the final output. A WYSIWYG is like a word processor. Numerous add-on/plug-ins for more features - Open source software has many plug-ins or modules; some are free and others are not. A plug-in (or plugin) is a set of software components that adds specific abilities to a larger software application. Web standards upgrades - Open source software gets tested extensively and updated regularly with new features and bug and security fixes. Mobile Web Design is a website designed specifically for the mobile market. Usually, it is the process of utilizing your existing website (or new website) so that it displays correctly on a mobile device. Remember your audience, If they are using a mobile, chance are they are out and about. The two fundamental factors that must be taken into consideration when designing for mobile are usability and time. Not all mobile users will have pre-paid plans with unlimited usage so have less time to spend on your site. So they need to get to what they are looking for faster. There are two things to focus on - reduced content which allows each page to load faster and the number of clicks needed to get a result. Users of mobile devices with say a touch screen technology, are going to be using their thumbs when they click on a link. To make it easier for them to use your mobile site it means, larger buttons are going to be easier to select than smaller ones. The sales of mobile phones is increasing yearly which means more are access the internet with mobile phones means if your site is not mobile friendly you could be missing out on the 3 billion mobile devices in use now! Email Marketing strikes many as old-fashioned. More fashionable venues like social edia and mobile marketing get all the attention, and some people will even try to tell you that email marketing is dead. Unfortunately, reality doesn't agree. In fact, with a strong content marketing approach, email is more powerful than ever----thanks to social media. Email provides you the most direct line of communication for conversion to sales… which is why the most savvy online marketers have no intention of giving it up any time soon. Starting your own digital newsletter is an exciting business model with virtually unlimited opportunities for entrepreneurs. The low startup costs -- you can get started with a site and email delivery system for less than $100----and ability to work from anywhere make it ideal for anyone looking to break into the world of publishing. You can gain profits from your digital newsletter with advertising, sponsorships, product sales, subscription fees and even earn commissions for referred sales. From small changes to major renovations, we can help you with the maintaining and updating of your website to maximize your site. Choose the level of website maintenance service that best suits your needs. Maintenance includes changing page text and/or photos. Maintenance does not include layout changes or page additions. At an absolute minimum, you should try to update your website every three months.